First of all you will need a FTP client to upload your video file to the server. We recommend using FileZilla client as it is a free and reliable FTP client. You can download it from here. 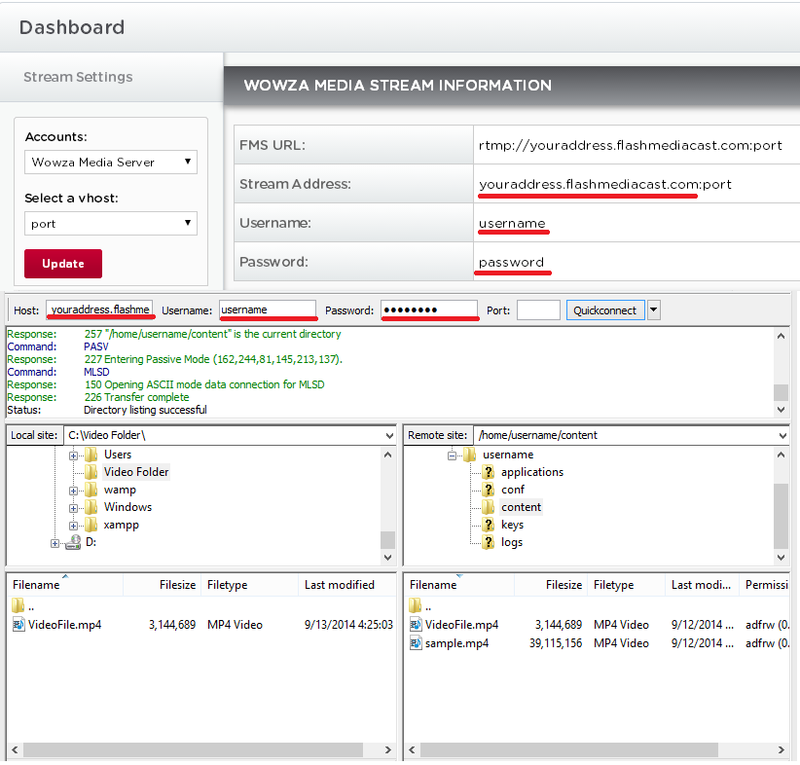 After you have finished downloading and installing the FileZilla you can login to your Wowza FTP. From your Primcast control panel, select the Wowza account from "Accounts", select your port and click on update. Then input the stream address, username and password into the the FTP client. Simply copy&paste them from your account panel, to FileZilla. *Leave the port slot from FileZilla blank, as that is the FTP port (21) which is not related to your Wowza Streaming port. 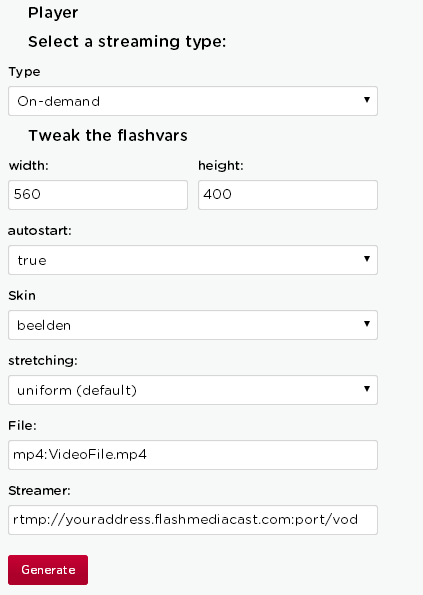 Once you are inside your FTP, navigate to the video files stored on your computer, and simply drag&drop them into the "content" folder to upload them. Once the upload process has finished, go to your Primcast control panel, and click on "Player and Encoder". 3. Select your preferred skin for the player on your website. 6. 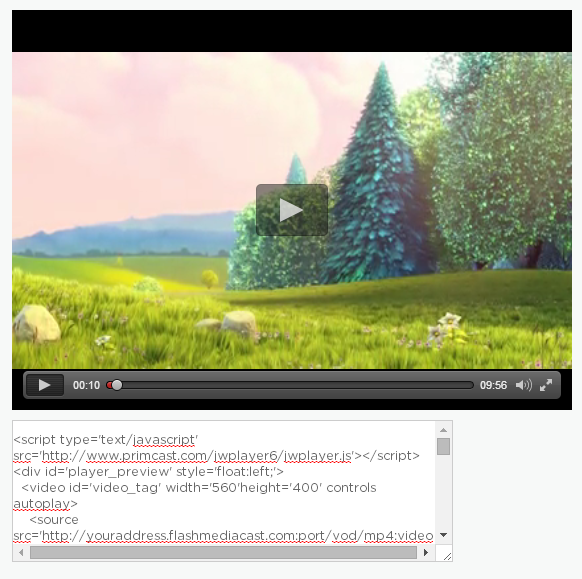 Copy the code below the "Preview" of the player and paste it onto your website.